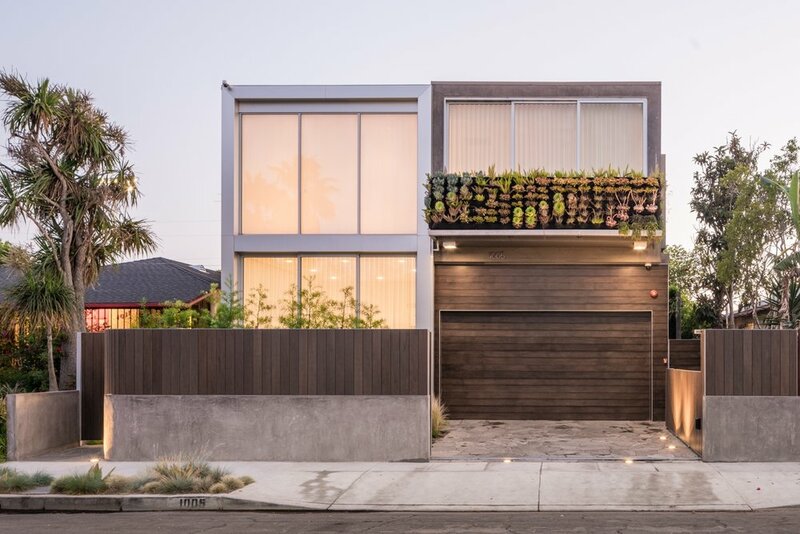 The owner of this contemporary Venice home sought privacy from the street, as well as a tranquil garden space outside their home office. 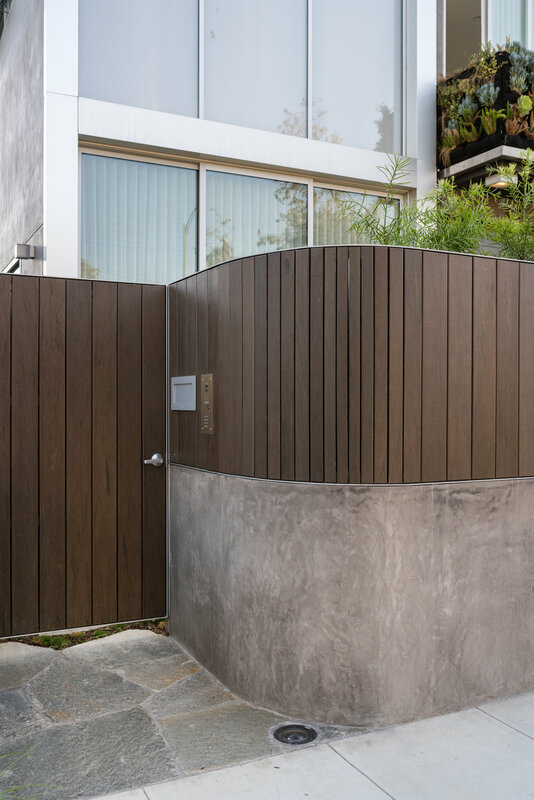 Segal Shuart designed a cast-in-place concrete wall with wood above to tie in with the visual vocabulary of the house, complete with a gentle curve leading to a new pedestrian gate. 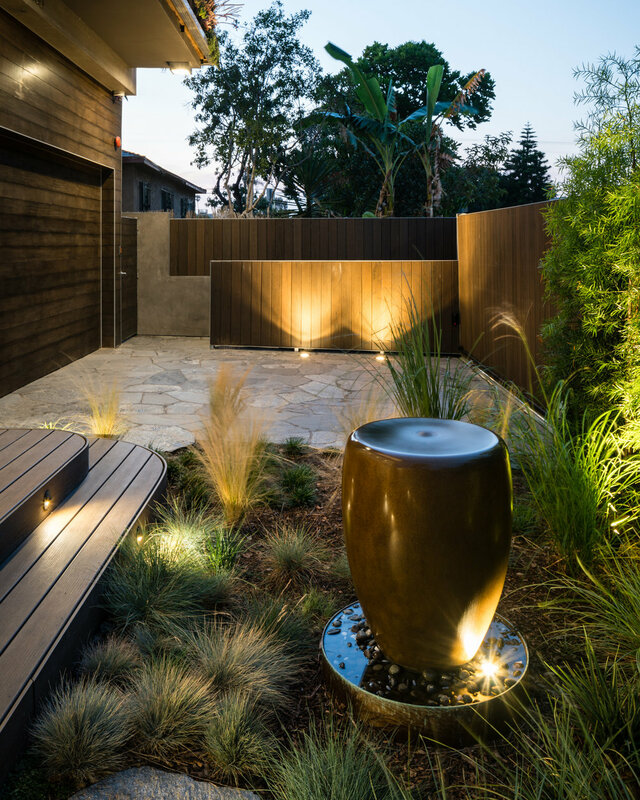 A new wood deck steps down to a small garden filled with native and ornamental grasses, and a bubbling fountain creates a sense of calm. A series of planted walls adds green to the house, and helps to create additional privacy.